NASA has signed a $490 million agreement with the Russian government to ferry U.S. astronauts to and from the International Space Station in 2018 and 2019 as a hedge in case of delays to Boeing and SpaceX crew capsules. The U.S. space agency announced in February its intention to procure six more round-trip seats for U.S. and partner astronauts for launches in 2018 and landings extending into early 2019. 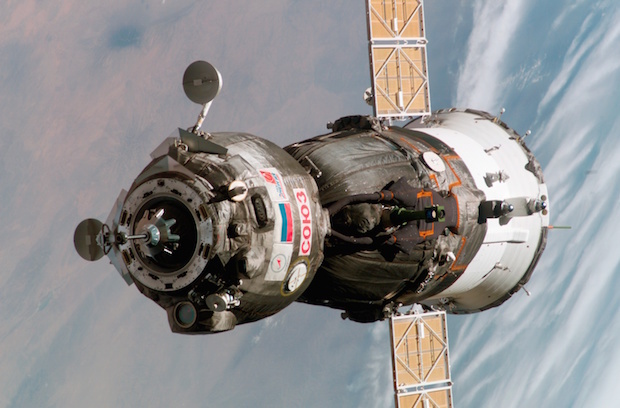 NASA will pay Roscosmos, the Russian space agency, about $81.7 million per seat under the terms of the deal. A similar contract finalized last year for Soyuz launches in 2017 had a price tag of $76.3 million per seat. 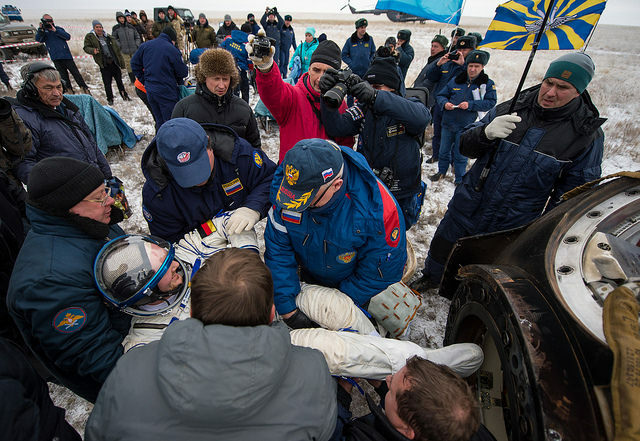 NASA handles arrangements for flights of astronauts from Japan, Europe and Canada on the Russian spacecraft. NASA Administrator Charlie Bolden disclosed the value of the contract in a letter to lawmakers Wednesday as the space agency goes on a full court press for more than $1.2 billion to fund development of commercial spaceships by Boeing and SpaceX in fiscal year 2016, which begins Oct. 1. Draft budgets proposed by the Senate and House would earmark $900 million and $1 billion, respectively, to the commercial crew program next year. That is not good enough to keep the commercial space initiative on track to launch crews to the International Space Station by the end of 2017, according to NASA officials. 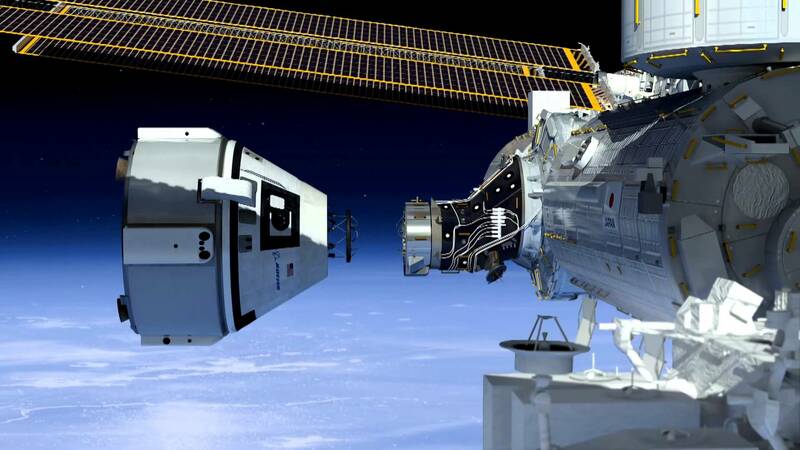 The Obama administration requested more than $1.2 billion in February to support the commercial crew capsules. In the letter to Congress, Bolden blamed lawmakers for insufficiently funding NASA’s commercial crew program since the White House revealed plans in 2010 to partner with industry to develop commercial human-rated spaceships. The Obama administration made the announcement at the same time it canceled NASA’s Constellation moon program, which itself was struggling with delays partly caused by funding woes. NASA said in 2010 the commercial spacecraft could be ready to transport U.S. crews to the space station in 2015. The commercial crew program’s budget this year was set at $805 million, short of NASA’s request of $848 million. Earlier budgets also fell short of the level NASA said it needed to keep the program on schedule, including a 2012 spending plan that supplied $450 million less than NASA’s proposal. “I am asking that we put past disagreements behind us and focus our collective efforts on support for American industry – the Boeing Corporation and SpaceX – to complete construction and certification of their crew vehicles so that we can begin launching our crews from the Space Coast of Florida in 2017,” Bolden wrote. 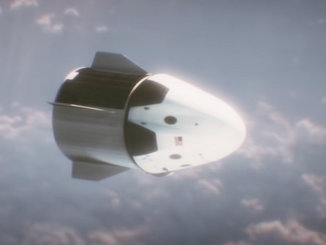 NASA last year selected Boeing and SpaceX to develop, test and fly the CST-100 and Crew Dragon spacecraft. The Commercial Crew Transportation Capability, or CCtCap, contracts are valued at up to $4.2 billion and $2.6 billion for Boeing and SpaceX, respectively. Bill Gerstenmaier, head of the agency’s human spaceflight directorate, told members of the NASA Advisory Council on July 28 that the budgets proposed in Congress would result in delays, but he declined to be specific. Gerstenmaier said NASA officials would “work hard to try to justify” to Congress the agency’s $1.2 billion budget request for the commercial crew program. Delays in development milestones planned by Boeing and SpaceX have not affected how much money NASA needs to keep the companies on schedule in 2016, according to Phil McAlister, director of NASA’s commercial spaceflight programs. McAlister said both companies are still in the throes of finishing their designs. Neither firm has completed a full critical design review, he said. 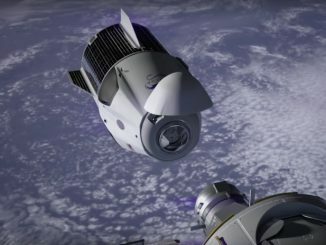 Boeing and SpaceX plan two-person crewed test flights of the CST-100 and Crew Dragon spaceships in the first half of 2017, followed by final certification before beginning regular crew rotation services to the space station by the end of the year. But NASA says those schedules hinge on cooperation from Congress.